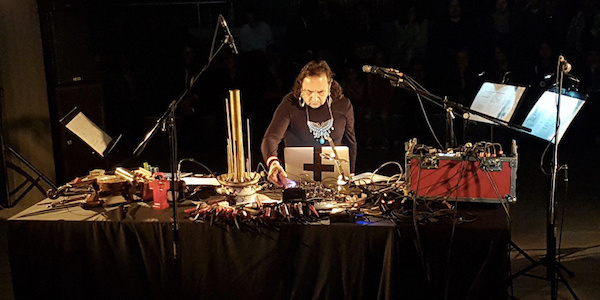 Artist and experimental composer Guillermo Galindo performing. Artist and experimental composer Galindo creates instruments that look like sculptures using discarded items found at the U.S./Mexico border. This sonic ritual performance will explore the challenging physical and emotional realities of the border.